Samantha Gray and Rock-a-Bye Blue perform at Northeast State on Aug. 2 in the Wellmont Regional Center for the Performing Arts, located on the College’s main campus in Blountville, adjacent to the Tri-Cities Regional Airport. The band’s performance is part of the College’s “Hot Nights, Cool Music” summer concert series. The show is free and open to the public. The performance begins at 7 p.m. Doors open at 6:30 p.m.
Gray was raised in the Midwest. Her father and maternal grandparents were from Tennessee. She embraced her southern roots and has often said that she had the best of both worlds. Samantha was exposed to many different types of music, especially country music and the sounds of Motown. While attending the University of Tennessee at Knoxville, she caught a performance by the alt-country band, The Bystanders. After the show she was introduced to the band and one week later they invited her to sing on stage with them. From that moment on, Gray was hooked and knew that she wanted to perform. For more information, visit www.NortheastState.edu or contact 423.279.7669 or jpkelly@NortheastState.edu. Northeast State hosts an open house for the Accelerated Studies program NextStep on Wednesday, July 24, 6 to 7 p.m., at the Northeast State at Unicoi County site, 700 Mohawk Drive, in Erwin. NextStep is a new cohort program beginning this fall at the College’s Unicoi County teaching site with a flexible schedule of classes structured to meet the working adult student’s schedule. Learn more about NextStep options for Northeast State at Unicoi County. The program is designed to help students earn an associate degree in five semesters. The program divides semesters into two seven-week sections with students attending two weekly class meetings and using interactive television and online teaching components for assignments and research. Students attend two classes during each session. Students completing all five semesters earn an associate degree in General Studies. The degree and all credit hours are transferable to all Tennessee Board of Regents institutions such as East Tennessee State University, and many other area colleges and universities. For more information, contact 423.279.7651 or jgthacker@northeaststate.edu. 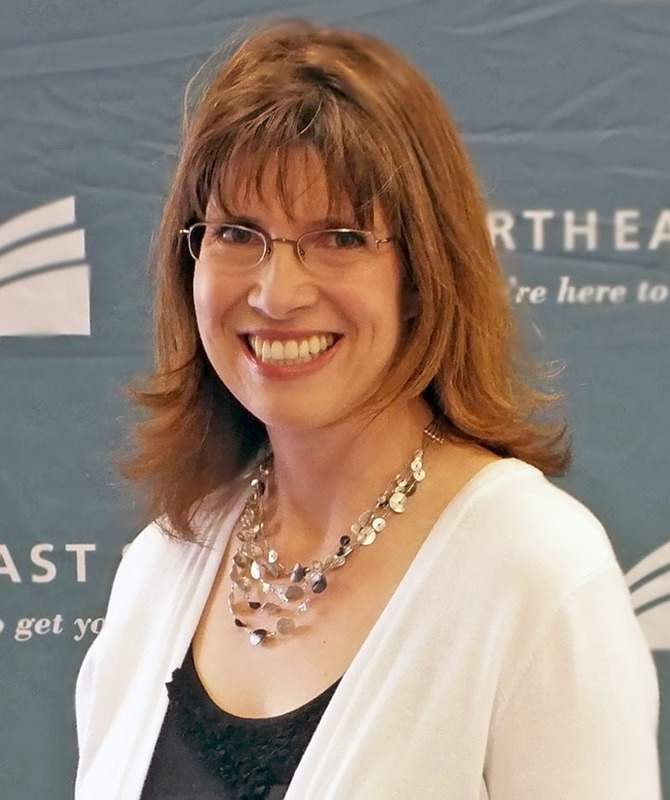 Northeast State has named Malissa Trent as the College’s new dean of Mathematics. She follows Nancy Forrester, who retired as the division’s dean in June. The Mathematics division directs programs of Mathematics and Pre-Engineering programs and The Learning Center where students can get free tutoring on numerous subjects. Trent joined Northeast State in 1997 as an instructor of Mathematics. She earned her Bachelor of Arts degree from Emory and Henry College and her Master of Science degree from East Tennessee State University. She became associate professor of mathematics and served as the coordinator of the division’s learning support services. As the division’s learning support coordinator since 2006, Trent helped shape the new learning support mathematics curriculum designed to assist students struggling with math. Students majoring in Advanced Technologies programs such as electrical, electromechanical, and mechanical technology learn math’s role in technical and scientific education. Business, Pre-Engineering, and STEM majors must have a solid math foundation to provide a seamless transition as they matriculate to four-year institutions. Trent added that Pre-Teacher Education majors had to master math skills they would ultimately teach to their students. The Mathematics division’s 17 full-time faculty and approximately 20 adjunct faculty members teach a variety of courses of learning support math through differential equations. Fans of the style, as well as newcomers to the method, will be treated to a concert and workshop by singers from Kingsport’s Tri-City Gospel Music Camp July 25 at 7 p.m. at Northeast State’s Wellmont Regional Center for the Performing Arts. The event is free and open to the public. The Johnson City Community Concert Band performs a free concert at Northeast State Community College on Saturday, July 13 in the Wellmont Regional Center for the Performing Arts, located on the College’s main campus in Blountville, adjacent to the Tri-Cities Regional Airport. The Johnson City Community Concert Band is an all-volunteer, non-profit, concert band whose members are from all over the region. The band is made up of approximately 60 members and associate members who have a diverse background in music, from professional band directors to no- music professionals of all ages that just want to continue the joy of playing music and performing. The band also features several associate members who taken up playing challenging music. For more information about this or other events in the Hot Nights, Cool Music series, visit www.NortheastState.edu or contact 423.279.7669 or jpkelly@NortheastState.edu.